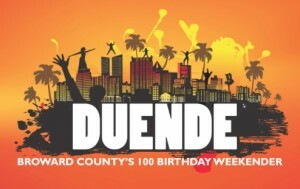 Broward County closed the celebrations of its centennial with DUENDE, a three-day-long event with parties and performances in Hollywood, Fort Lauderdale and Pompano Beach. 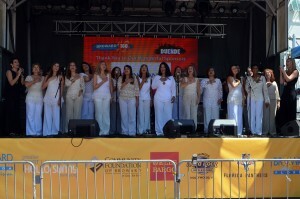 Fort Lauderdale hosted the “Party of the Century” on Oct. 3 at the Riverwalk and Brazilian Voices was proud to perform at DUENDE: the Grand Finale of the Broward 100 Celebration. DUENDE was a spectacular celebration of Arts and diversity displaying an impressive collaborating among artists and featuring live music of all sorts, flamenco dance, capoeira, taiko drums and steel drum bands among others.